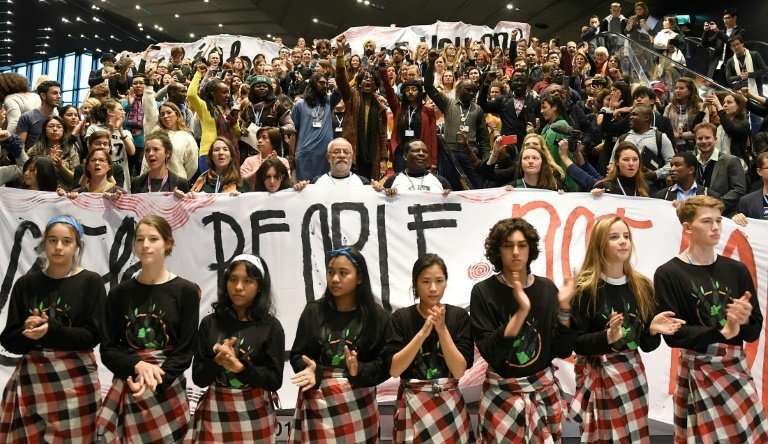 Videos produced by environmental groups to be shown to thousands of participants in a major UN climate summit were banned by organisers for mentioning fossil fuels, in a move campaigners say amounts to censorship. AFP has obtained emails sent by the United Nations to NGOs asking them to remove frames referring to "dirty energy" and "pipelines", claiming that they breached the UN climate convention's rules of participation. Green campaigners complain that so-called "business-interest NGOs"—known as BINGOs—representing big energy firms are allowed to participate with very little oversight. In one email the UN liaison body asked for a shot containing the words "dirty energy" to be removed. It also asked that the phrases "prohibit participation of fossil fuel corporations" and "why are politicians still approving pipelines, coal plants and fracking" be cut. The climate convention prohibits "activity derisory to the UN, any of their member states, organisations or any individual or criticism that would go against basic rules of decorum". "The videos are otherwise of excellent quality and it would be a shame to exclude these high-quality videos on the basis of one or two short frames," the UN emailed. "While we're being silenced, the same coal, oil and gas companies responsible for the crisis are allowed to plaster the halls with their logos and propaganda," Pascoe Sabido, researcher and campaigner at the Corporate Europe Observatory, told AFP. "How can these negotiations help us keep fossil fuels in the ground, like the IPCC recommends, if we're not even allowed to mention dirty energy or gas pipelines?" A UN spokesman told AFP the organisation had used "our best judgement to ensure that the videos displayed at this particular site are suitable". "There seems to be a real fear coming from the Polish presidency of naming both countries or corporations even though they are accredited to be here," she told AFP.